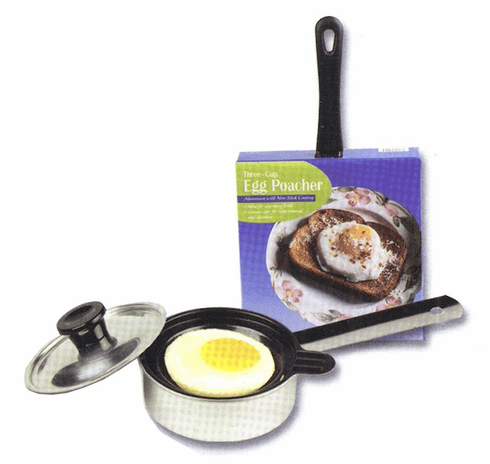 Three cup egg poacher. Aluminum with non-stick coating. Ideal for warming food.